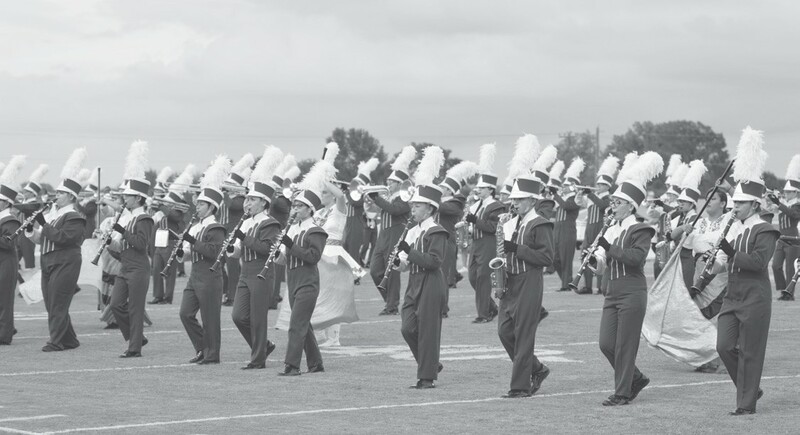 This year the Pleasanton Might Eagle Marching Band is composed of 128 members and three band directors, including new head band director, Eduardo Solis; band director, Sarah Yarnell and new band director, Michael Casas. Drum Majors this year are senior, Samantha Gonzales; junior, Robert Rutherford and senior, Zoe Castillo. The band has worked hard through the summer and the school year to bring their amazing half time show to life. The 2018 halftime show is titled “Fuego”, featuring latin songs; La Suerte de Los Tontos, El Gato Triste, Mas Que Nada, Mam Bop and Adelina de Maya. The Mighty Eagle Band has been awarded with third place at the Cotulla Cowboy Roundup Marching Festival and fourth place at the Harlandale Marching Festival. The band has received feedback from both precontests and are working hard to prepare for their UIL Contest in Hondo this weekend. 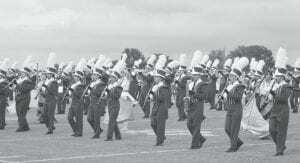 Good luck to the Mighty Eagle Band at contest this Saturday!